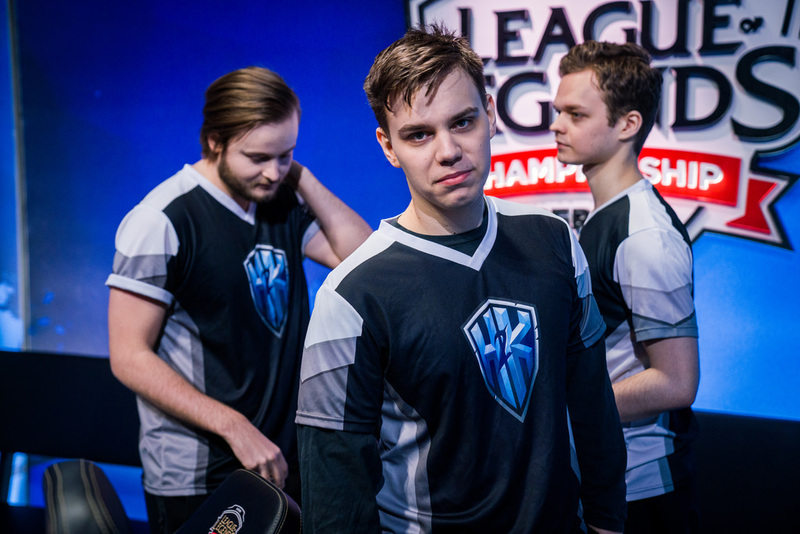 The eighth week of the EU LCS featured a lot of upsets and a big week from UpseT. The penultimate week of the spring season of the 2018 League of Legends Championship Series is now complete, putting another slate of fantasy action in the books. The story of the week in the EU LCS was parity. The playoff race somehow became even closer thanks to a slate of results that placed four teams at 7-9, with the bottom two in the league at 6-10. The biggest winner of the week was FC Schalke 04, and their wins over Giants Gaming and G2 Esports produced fantasy gold. Schalke featured three of the top five fantasy scorers on both Friday and Saturday. Whether you walked away with a payday or ended up in the loss column, it’s time to take stock and see what went right and wrong for your fantasy teams. The best way to get better at something is to learn from your mistakes, and daily fantasy esports is no different. On that note we’ll be looking back at the past week of EU LCS fantasy play and how some of our picks performed to see what worked and what didn’t. The unexpected results threw a wrench into our fantasy picks. On Friday we pegged G2 Esports to take care of business against the last place team in the league, H2k Gaming, and to put up solid fantasy numbers (considering H2k usually provides them to opponents), but H2k kept themselves in the playoff race with a win. G2 Esports at least acquit themselves well for a loser, putting up enough points not to kill you if you had one or two players in your lineup on the cheap. Our specific pick of Martin “Wunder” Hansen was at least not a complete disaster with 42.99 points in the loss. The other matchups, though, went about as expected. We were down on the Splyce and Misfits matchup, and while Splyce came out the winners, they and H2k were the two lowest scoring victors on the day. No surprises there. 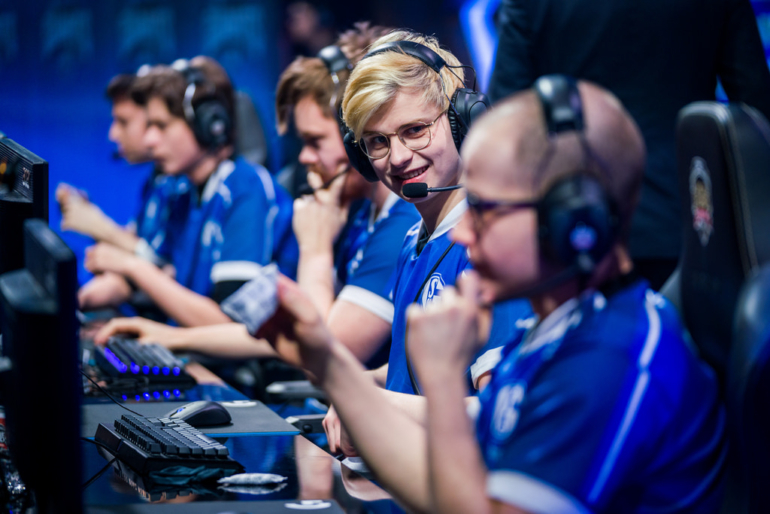 Schalke and Vitality thrived on juicy games against Giants Gaming and Unicorns of Love. Fnatic’s win was a little rougher, but they still formed the core of many a winning fantasy lineup, especially considering most players didn’t start Schalke’s players. 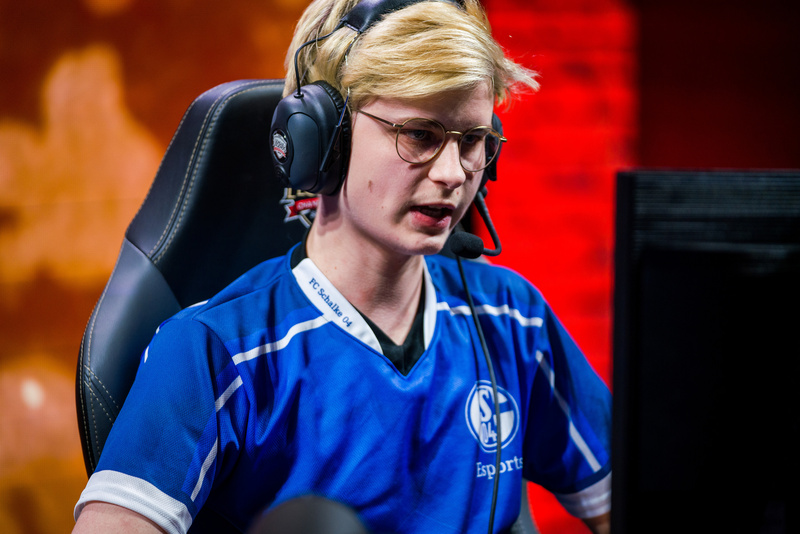 Schalke wrecked Giants, and Ruin posted a ruinous 10.19 on the day. At least he didn’t break the bank. We called PerkZ having a tough time with Marcin “SELFIE” Wolski, but we didn’t think that’d extend to the rest of his team. Apparently we should have had more faith, considering SELFIE was a top value pick on the day. The Unicorns were cold as ice this week and the league’s most expensive jungler put up a poor 11.94 points. Ouch. At least we avoided him. All in all it wasn’t our best day, but not our worst. Saturday again showed why making fantasy picks in such a close league is tough. Giants, ROCCAT, and Schalke led the charge, beating teams ranked higher than them in the standings and producing fantasy dividends in suit. The teams we expected to have big days, Fnatic and Splyce, didn’t take advantage of juicy fantasy matchups, even if they pulled out the victories. Much like Friday, Schalke players lead the way to fantasy success, with five of the top nine scoring players. Pairing them with ROCCAT and Giants was even better, especially considering all three teams feature cheap price tags. But that didn’t mean missing on those players precluded fantasy success: Most players ignored them in favor of perceived safer picks. Picking expensive players is always a risk, and Misfits lost their match to Giants Gaming. Hans Sama posting 10.32 points made him a terrible pick, and his teammates weren’t much better. Some Giants players feasted on their upset over Misfits, but Betsy wasn’t one of them. His 65.37 score was only average among winning players, and the most expensive salary on his team made him an iffy investment. Splyce can’t seem to score big in fantasy even with a primo matchup against H2k, but at least they scored the win, and that means kaSing and his rock bottom salary provided solid value, even if his 61.09 points were at the low end for winning players. If you’re a fan of Schalke, you probably made a killing this week in fantasy. But that didn’t mean you needed them to win: Schalke players were rare in starting lineups. Still, Schalke’s prominence shows one of the quirks of Skrilla’s scoring system, which awards players not only for their own individual statistics, but for their team’s success in securing objectives. This week’s fantasy MVP was Elias “UpseT” Lipp of Schalke. Of UpseT’s 179.47 fantasy points this week, 101 of them came from his team’s scoreline. Even when you’ve got a 16/3/10 KDA and 947 CS on the week most of your scoring is tied to your team’s success. Predicting the team that wins is the same as winning at fantasy. And when the league is as hotly contested as the EU LCS in the stretch run leading to the playoffs, that means you’re going to win some, but you’re going to lose plenty, too. UpseT was key in pulling off the, well, upsets that Schalke put together over Giants Gaming and G2 Esports, putting them squarely in the playoff race. UpseT lead the league in fantasy scoring on both Friday and Saturday, posting 91.66 and 87.81 points respectively. Not only was UpseT the top scorer, he did so at the bargain price of 14,600, one of the cheapest ADCs in the entire league. Supports are never huge fantasy scorers, but Norskeren posted a ridiculous 81.22 fantasy points on Saturday, good for No. 3 overall on the day, in ROCCAT’s win over Team Vitality. His 3/1/12 KDA line with Morgana looked like a mid laner’s. Doing so at just a 10,050 salary is icing on the cake.